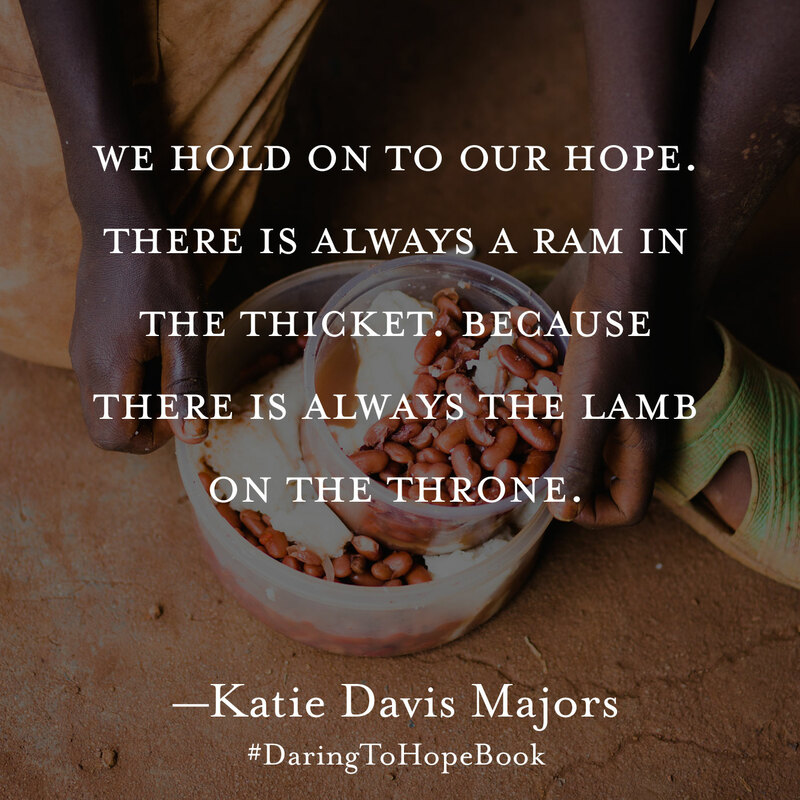 I read “Daring to Hope” by Katie Davis Major in a day because I couldn’t stop. As she told stories of motherhood and ministry in Uganda, I was pulled in, wanting to hear more about the people she serves and, more importantly, the God she serves. 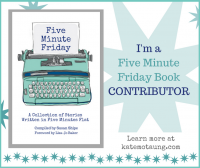 She quotes scripture throughout the book and then references the specific verses with endnotes. At first, I wanted to know exactly what she was quoting, but then I couldn’t step away from her stories long enough to flip to the endnotes. That reminded me how we’re called to live out our faith in ways that show others Jesus, not ourselves. The snapshot view of my life looks nothing like hers, but I still related to her stories because she’s human and, like me and probably you, is finding God in the small ways she lives her life on a daily basis. My everydayness doesn’t look like Katie’s everydayness, but we serve the same God who provided a ram in the thicket when Abraham climbed a mountain in obedience when asked to sacrifice his son, who let Jacob wrestle and loved him anyway, who makes families not always through biology, and who promises us His presence. we expect, but He still always provides. Reading Katie’s book was good for my soul, the one weary from falling into a trap of trying too hard. She reminded me what God’s faithfulness looks like – in the Bible and in my own life. 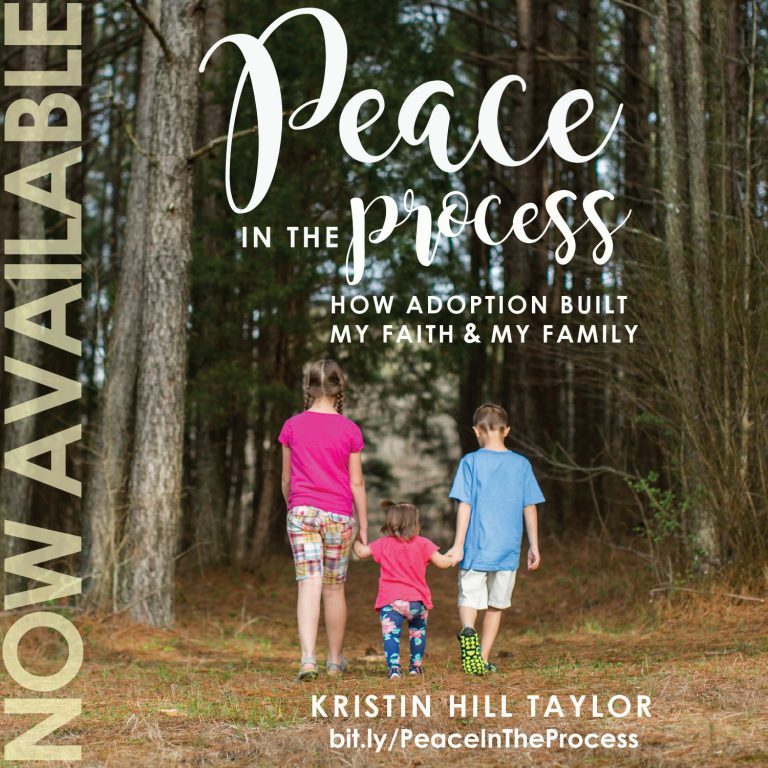 I remembered some dark days of infertility, hard parts of adoption, and the scary days with my son when he was burned. But, more importantly, I also remembered how God brought light. Our circumstances usually change, but the God who provides and redeems doesn’t – and that’s why we can put our hope in Him. “Daring to Hope: Finding God’s Goodness in the Broken and the Beautiful” is an invitation to cling to the God of the impossible, the God who whispers His love to us in the quiet, in the mundane, when our prayers are not answered the way we want or the miracle doesn’t come. It’s about a mother discovering the extraordinary strength it takes to be ordinary. It’s about choosing faith no matter the circumstance and about encountering God’s goodness in the least expected places. This 224-page hardcover book is published by Multnomah and officially releases Oct. 3, 2017. You can preorder it now so it will show up in your mailbox then! 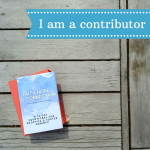 IF you’re doing a giveaway, please enter me – my mission-minded granddaughter wants to read this book so badly. She loves Katie! I don’t have a giveaway opportunity right now, but if I do, I’ll let you know! I am currently in the middle of reading this book. It is wonderful and encouraging and blessing me deeply. Such a blessing! I read it so quickly because I couldn’t stop. I marked sections to go back to though. Have you read about her caring for the man’s burns? THAT wrecked me having just been through burn wound care with Ben. I’m always glad you’re here, Joanne! Powerful quotes! This sounds like an amazing book! You should definitely add it to your book list, Michele! This book is wrecking me in a good way! The way she speaks about motherhood! How freeing this idea is! This truth that God is not sitting there with a checklist, waiting for us to accomplish things in order to give love. He loves first. Everything else is extra from that love. Definitely freeing! Glad you could be encouraged, Becky! Looks amazing – amen on what susan said above!